A Local 1000 member has had his 5% annual Merit Salary Adjustment restored after it was denied in June of 2015. Local 1000’s Union Resource Center (URC) filed a grievance, arguing the denial was unreasonable after management failed to establish any performance problems. Local 1000’s grievance process is just one way our union works to protect its members by enforcing our contract. More frequently, our Local 1000 stewards are able to work with state management and labor relations to solve issues and correct workplace problems informally, through discussions. 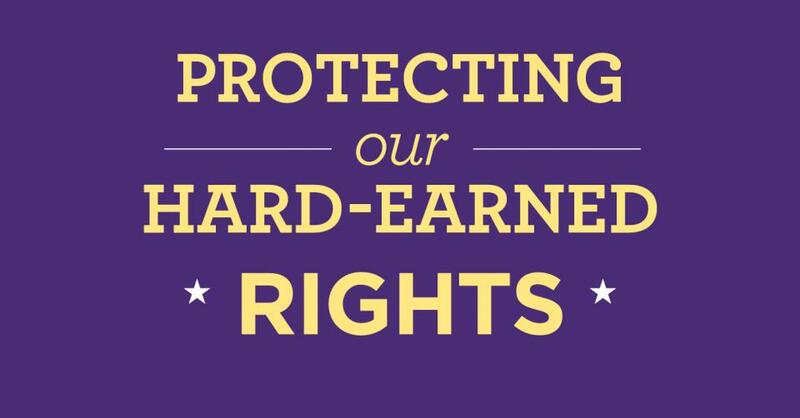 In either case, the guiding principle is the contract language and the rights it confers that our members have negotiated for and stand up to protect. A Unit 15 security guard at the Department of Veterans Affairs, called our Member Resource Center and was referred to staff at the URC. Working together with the guard, the URC representative argued that the guard hadn’t received an Individual Development Plan in two years, evidence itself of satisfactory performance, according to Article 13.6 of our contract. Upon resolution of the grievance at the department level, the guard received his annual 5% Merit Salary Adjustment retroactive to July 1, 2015.